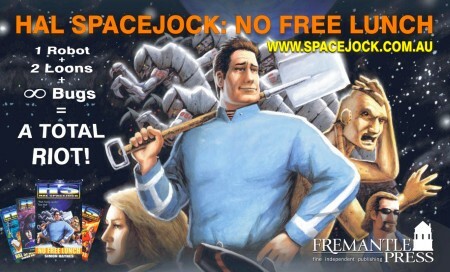 The Specusphere has posted their review of Hal Spacejock 4: No Free Lunch. Lots of nice things said about the book, which is always a positive. I've also knocked up a very quick book launch invite for family & friends. (The publisher is doing a proper one, but I don't get many of those and I like to hand things out nice and early.) Click the image for a bigger size. Or better still, come to the launch. Would you stick one of these babies on your rubber fridge? *EDIT* Whoever pre-ordered Hal 4 from Amazon .. you're a champ. Hope you like the book! Concluding that this discovery was her life's work in the field of primatology, she then moved on to such varied pastimes as grooming dogs and writing technical documentation. Without any further delay, I present an interview with Jenna Black, whose novel HUNGERS OF THE HEART is released today. turned out to be very hard to do. One of the most attractive things about Drake in WATCHERS was his self-confidence, the sense that he was comfortable in his own skin. Confident, comfortable characters, however, don’t make for interesting protagonists, so I had to shake him up. I found myself strangely reluctant to do so. That was the first time I had to struggle to make myself be mean to one of my characters. Usually authorial cruelty comes easily to me, as my readers no doubt know! no simultaneous submissions. I can’t tell you how many times I had to wait a year or more to get a response. And during that waiting time, I refused to submit the book to another publisher, because most publishers say they won’t accept simultaneous submissions. It made for a painfully slow, agonizing, frustrating process. If I had it all to do over again, I’d probably go ahead and make simultaneous submissions despite the guidelines. I think it would have saved some of my sanity. changed the way I approached my career. When I began to believe that it was my own abilities, not the whims of luck, that would ultimately get me published, I started working much, much harder at my writing. I started treating it like a career, rather than a hobby. A year later, I had an agent. Two years later, I had my first contract. And now I have five books out with four more under contract. So it was by far the best advice I’ve ever received. puzzles. My enjoyment of jigsaw puzzles has come and gone multiple times over the course of my life. I’ll go for years without doing one, then suddenly I’ll have an urge and I’ll do a whole bunch in a row. I’m finding them particularly fun right now because they’re something I can do that doesn’t involve sitting in front of a computer. going to happen in this book?” stage. It often takes me a few chapters before I start feeling like I’ve “really” started the book. I’ve also been playing around with an idea for a YA urban fantasy, but I have to put that aside now to work on the book that’s sold and on deadline. intention was to get a PhD in physical anthropology and become the next Jane Goodall. Obviously, my career and my ambitions ended up taking a different path. try to shake the sleep clouds from my head. (I’m not the best morning person in the world.) I usually read emails and look at some of my favorite Internet sites (like MySpace and Romance Divas) while I wait for my brain to be fully functional. Then I drag myself to a computer that has no Internet access and no games—nothing installed on it other than word processing software. And I write. especially moved when I got an email from a reader who was seriously ill and told me my books helped make the bad times better for her. Books have always been my escape during the worst times in my life, and one of the thoughts that kept me going while I was struggling to sell that first novel was the desire to provide that same kind of escape for others. Learning that I’d done so for at least one reader brought tears to my eyes. I’m an aquarist. I have four fresh water fish tanks in my house and have had over the course of a year: powder blue dwarf gourami, neon tetra, bettas (a spawning pair), a white cloud minnow, yellow tuxedo guppies, and several goldfish (comet and shubunkin). I’m so into it I read fish magazines and occasionally write long, boring blogs about my fish triumphs and woes on my livejournal: [http://lyda222.livejournal.com]. My betta Johnny/Giant-Girl is even a YouTube star: http://www.youtube.com/watch?v=x9Gg0mfEfTw. And explosions… or at least zombies. There’s an excerpt of the first chapters of all three books available on my website http://www.tatehallaway.com. I've been away for a week, which explains the sudden flurry of posts on my blog. I have a bulging inbox, mail file and clipboard full of notes to get to, so I'll probably be silent for another week while I try desperately to catch up. The “Hal Spacejock” books are funny, very much in the tradition of “Red Dwarf” and “The Hitchhiker’s Guide to the Galaxy,” but there are plenty of things that make them different, and in some facets superior, to those famous titles. This isn’t a gaudy, exotic, higher-state-of-consciousness type SF future; it’s a run-down, penny-pinching, two-bit swindling kind of future, and Hal Spacejock is often the biggest swindler of them all. There are several ways to measure the success of a novel - and good reviews and appearances in bestseller lists don't really define the kind of success publishers are looking for. Sure, they're great when they happen, but you still have to shift the bulk of the print run to make any money, and a two-three week splash after release isn't enough to do it. "Do you have what it takes to write a commercial crime/thriller novel? If so, enter our Penguin Crime Writing Competition and if you are judged the winner by our expert panel you will be published by Penguin Australia." Not a bad looking contest at all. Rarely have I read a book that was simultaneously so amusing and so warm-hearted. Humour usually revolves around laughing at the misfortune of others, but there’s precious little nastiness here. This is an excellent novel, and I would recommend it to anyone. Today I discovered LibraryThing has added venues and events to their database. Users add their favourite bookstores, with links, and if you specify a location in your LT profile you can get a list of nearby bookstores, with ratings, and also any upcoming events in those stores. Just go to www.librarything.com/local to see the results in action. You even get a Google map of the bookstore location. I stuck Fantastic Planet and Dymocks Carousel in the database, since both stores have been kind to the Hal books. If you're on LT and have a fave local store, why not add them in too? 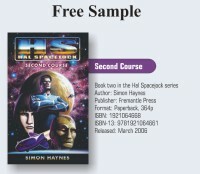 Below you'll find a double-sided flyer for each novel in the Hal Spacejock series. Each contains the complete first chapter of the relevant book, along with a cover shot and publication details. • School librarians could use them to tempt reluctant readers. • Bookstores could tuck the next flyer into the previous book. • Keen Hal Spacejock fans could give them to friends & fellow SF aficionados. • Dedicated Hal fans could put a few on the leaflet table at the next con. • Rabid Hal fans could hand them to total strangers in shopping malls. One side is colour, the other monochrome. I print the mono side on my laser first, then flip them over and run them through the inkjet (borderless printing) for the colour. These are three-fold leaflets - fold the back flap in towards the middle, then fold the cover over it. I promised to blog about non-sekret communications with my publisher, giving you an insight (hopefully) into the process. I can't even discuss my grand idea yet, but it involves zero cost and isn't the least bit illegal. Bound to fail, in other words. I also have five review copies of Hal 4 sitting on a shelf above my desk. At this stage I can only send them within Australia, so if you're in any way connected with a reviews site, blog, major daily newspaper or breakfast show (creaky robotic presenters notwithstanding), please leave a comment. I'm guessing copies will start appearing in stores mid-May, which is just four weeks away, so I don't suppose there's any harm in posting a review from early May onwards. Anyway, the first Hal Spacejock No Free Lunch review is in, and they liked it! 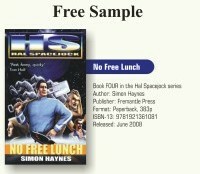 "No Free Lunch is an effortless read that doesn't take itself too seriously. The plot is fun and intelligent, with some genuine laugh-out loud moments. [...] it is more subtle, and the main character more complex and endearing, than the macho title suggests." Bookseller+Publisher, May 2008. Hal 2 yesterday, Hal 1 today. Different reviewer, different take on the book. This is one of the funniest books I've read in a long time and can't wait to buy the next in the series. I recently met up with Guy Salvidge after he joined Stromatolights (the Western Australian SF/F mailing list). We got chatting about SF, books, publishing, books and more SF, and then I did a nasty, horrible thing ... I offered him a copy of Hal Spacejock Second Course. ... a refreshing change from the post-cyberpunk trying-to-be-cool futures we get so often in SF these days. Usually I'm pretty good about giving away books. I always make sure people get the first in the series, because I know how much I hate starting mid-stream. Recently, however, I've had to give away either book two or book three, simply because the first was in short supply. Haynes is a skillful writer, but he never forgets that he is writing to entertain. 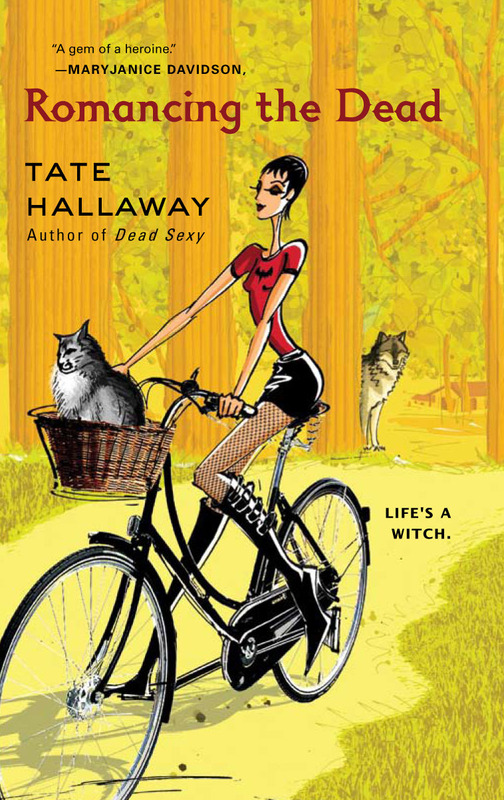 Anyway, Guy read Hal 2 in double-time and has now posted a nice review. Now I'll have to rustle up a review copy of Hal 1 for sure. Descriptive scenes are particularly well done, conjuring just enough detail to keep the reader 'in the loop,' but not so much as to bog the story down. In short, Haynes knows what he's doing. There's a few days left if you want to fill it out. You don't have to be a Locus subscriber, and they publish a comprehensive table of results later in the year. More data points = more comprehensive. The other point of this post? 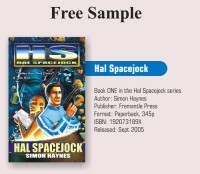 To let you know Readings are taking pre-orders for Hal Spacejock book 4. Feel free to drop by and participate. 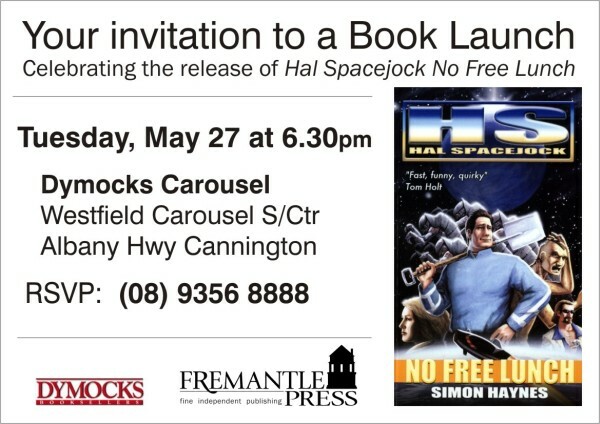 Just a reminder that Hal Spacejock: No Free Lunch (book 4) will be released across Australia and New Zealand on June the 2nd. There will be a launch event, and I'll do my best to visit bookstores around Perth to sign stock. Yesterday, I set up a new front page for my website. Today, I'm reconsidering my choice of web hosting service.